KGW-TV signed on the air on December 15, 1956. Portland’s KGW TV was Portland’s first station broadcasting their live news programs in High Definition. Daily morning and noontime news programs originate from KGW’s HD Studio on the Square. The newly designed studio sits in the center of Portland’s living room at Pioneer Courthouse Square where live and rarely rehearsed segments elevate local broadcasting to a new and exciting art, The many groundbreaking live remotes bring reality TV to Portland. *KGW TV was an extension of radio station KGW (620 AM). 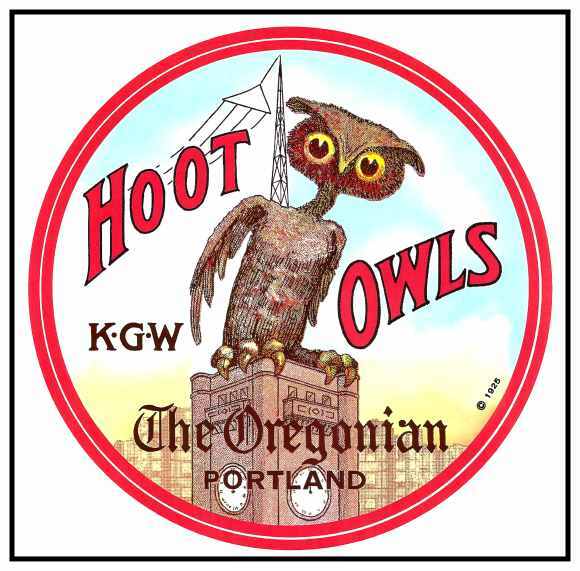 The Oregonian newspaper created KGW-AM by purchasing an existing transmitter from the Shipowners Radio Service. 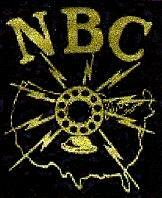 The U.S. Department of Commerce licensed the station, and it began broadcasting on March 25, 1922. The Oregonian applied for and received an FCC permit for a television station in 1947, but later returned it in order to focus on its core newspaper business. 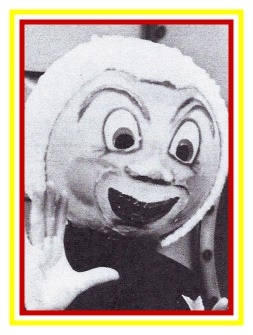 It later bought KOIN-AM and used it to start KOIN-TV. Konnie G. Worth was popular at KGW. After leaving the Radio City Rockettes in New York City, Florence Pickett, who would later become known as Konnie G. Worth, moved to Portland and opened a Dance Studio. Her success, led the multitalented entertainer to an on-air shift at KGW-AM Radio. Her popularity, especially with the ladies in the audience, soared in the 1950s and she became an original member of the KGW-TV daytime on-air staff when the TV station began broadcasting in 1956. Florence was a Pioneer in Portland Broadcasting history, she was among the first women in Portland to have a successful career in broadcasting. The KGW-TV tower was a prominent victim of the Northwest's historic, violent Columbus Day Storm on Friday, October 12, 1962. KGW was back on the air Tuesday night, October 16, using a temporary tower, plus an antenna on loan from KTNT-TV of Tacoma, Wash. A new antenna and tower were placed into service on January 28, 1963. KGW-TV's original evening-news team remained intact for more than seven years - a rarity in the broadcast industry. Anchors Richard Ross and Ivan Smith, commentator Tom McCall, sportscaster Doug LaMear and meteorologist Jack Capell were the faces of KGW's "News Beat" from sign-on in December 1956 until early 1964, when McCall left the air to run for Oregon secretary of state. McCall won election that fall, and was elected governor two years later. Ross anchored KGW's nightly news "Northwest Tonight" until 1975, and LaMear and Capell remained on Channel 8 for at least another two decades after Ross' departure for rival KATU. In 1992, the Bullitt family sold KING Broadcasting (which also included KING-TV in Seattle, KREM-TV in Spokane, Washington, KTVB-TV in Boise, Idaho and KHNL-TV in Honolulu, Hawaii) to the Providence Journal Corporation. Belo Corp purchased "ProJo" in 1998, gaining control of all the former KING Broadcasting stations. On October 24, 2007, KGW made history when they aired a locally produced Blazers game in HD, the first local HD broadcast on KGW. Perennial Parade Favorites, TV Show Host Heck Harper and “Jody”, who hosted children of all ages live on his daily shows at the KGW Studio. They entertained the throngs of parade watchers with their tricks.